Hi, I’m Joan Marie Verba and I sew the shoulder bags you see on the page. I started using these because I found that whenever I purchased a purse, it would not be long before the purse became stained or dirty, or something spilled on it. Then I’d either have to try to clean it, or I’d have to throw it away. After throwing away a lot of purses, I decided that I needed a purse that I could simply wash when either the inside or outside was dirty. That’s when I started using these, which are machine washable. They’re durable, roomy, comfortable to wear, and have a lot of pockets. I believe you’ll find them as useful as I have. They can be tossed in a washing machine when they get dirty and dried in a standard dryer. The bags come in a variety of colors, patterns, and sizes. 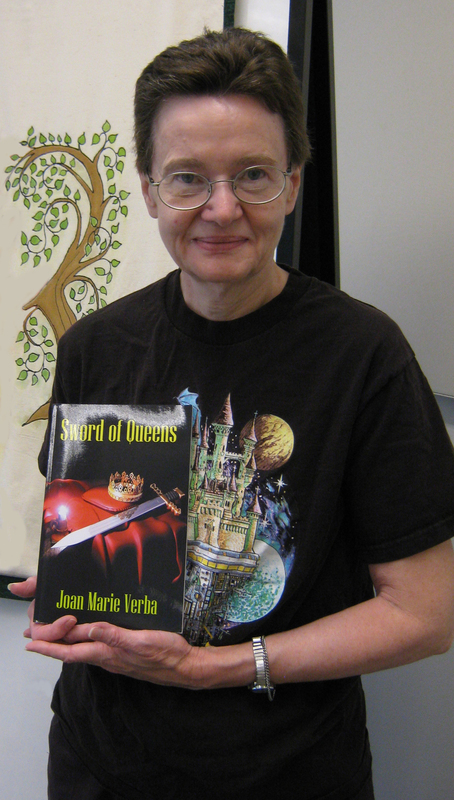 Joan Marie Verba learned sewing from her mother, who maintained a home-based sewing business for over 40 years. She has been sewing shoulder bags for herself for decades, and has recently expanded the line to include other useful washable accessories as well. This entry was posted in Joan's sewing projects on June 24, 2014 by Joan Marie.